Can you practice basic Tib. Bud. from books and this forum? I might have asked this question before, but I don't think that I did in TB section, so I am sorry if I did. A lots of people say that in Mahayana you need a monk or a bun to teach you meditation and the rest. Now, after looking at all different forms of Buddhism, Buddhist societies and teachers, I would say that probably the nicest ones I came across are the ones I found in Tibetan tradition. So, I want to practice TB, but since I suffer from a scizhoaffective disorder( mixture of Schizophrenia and bipolar where I only get ups and no downs), I find my self a little bit lazy because of all the medication mmto go places, because there is nothing close by. So, can I practice already the basics like meditation from the books and this forum? I guess it depends what is meant by Tibetan Buddhism... Shine meditation/ the four mind changings and the four immeasurable contemplation are all practiced by practitioners of Tibetan Buddhism. Surely these can be practiced without having access to a centre? Although guidance will still be necessary . 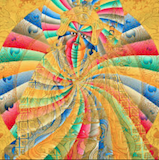 Tibetan Buddhism contains a large number of texts, practices, and techniques. Some are sutra, some are tantra. For tantra, or Vajrayana, you really need a direct lineage connection with a teacher. For sutra, it is possible to begin some study and practice right away. It would be good to study quite a bit first either way to familiarize yourself with the frameworks. In general, since you have a pre-existing condition with your mental stability it would be very important to have a spiritual friend, or guide, help oversee your practice even at the sutra level. I think Adamantine nailed the answer to your question, Ervin, and I think Dzongsar Jamyang Khyentse Rinpoche is very accessible for westerners. The only thing I would add is that I personally find I need some traditional, lineage structure. For that I can recommend Geshe Tashi Tsering's "Foundation of Buddhist Thought" course which is offered online (http://www.buddhistthought.org/). However, that depends on whether you can afford the tuition (about $1,000 usd for the entire 2-year, 6 trimester course). Since I took it, Geshe Tashi's course books have been re-edited and published, so even if you start by going through those six books in order (Four Noble Truths; Two Truths; Buddhist Psychology; Bodhicitta; Emptiness; and Tantra) you will establish a nice framework that will help you organize your practice and other teachings. The advantage of taking the course, besides the discipline of being in a formal class, is that you then get recordings of Geshe Tashi teaching the modules, the opportunity to submit questions to Geshe Tashi, a facilitator who guides your intake class through the lessons, and well structured course-work, including chapter review questions for your own practice, plus minor mid-term essays and major final essays which are reviewed by the facilitator. The structure for each 4-month module is three months of lessons followed by one month for reflection and writing your summary essay to wrap up the module. DW is a really great resource, but as you saw on your thread asking for a "simple and brief explanation of emptiness" it is easy to get lost in a confusion of different traditions, interpretations, and levels of understanding. IMHO even to receive simple instruction on mindfulness meditation has so much more context when one practices, if one has received it directly from an accomplished practitioner (audio and video also assist in this, but don't substitute for being in the presence of a teacher). It may not seem anything at the time, but there is a context and presence that is planted that has it's own way of ripening. I notice from your OP that you are in Melbourne. Melbourne is not as blessed as many cities in America and Europe, but still it has some venerable resident and visiting teachers. But if travel limits you, attending any teaching could be challenging. It's said in the teachings that leaving ones home country accomplishes half the Dharma. IMHO this also has an inner meaning to give up the comfort of familiar territory and be willing to go through challenges to receive the teachings. Just in the last month Khenchen Pema Sherab was teaching Ju Mipham’s Beacon of Certainty in Melbourne... but it was way out in the eastern suburbs, but Sogyal Rinpoche gave a public talk at the Collingwood Town Hall. How about this Rigpa centre in Brunswick it's located at 7/200 Sydney road? Ervin wrote: How about this Rigpa centre in Brunswick it's located at 7/200 Sydney road? There's some good experienced students there I know. But as with any centre, do your research. See if you connect with that manifestation of Dharma. In the end you have to trust your own instincts and connection and take responsibility for your own journey. There's plenty of good advise to encourage you on your own path here on DW. It does make it easier if the centre you are connected with is easy to get to for practice sessions. Still, there's no substitute for a knowing connection with a teacher. In my opinion: Practicing with teacher>practicing from books by respected teachers>reading things on a forum. Also, I mean this in a non-condescending way, and only since you mentioned it, but use your wisdom and be careful not to adopt an attitude of using Buddhism as a "replacement" treatment for scizhoaffective disorder. I'm not implying you're doing that, it's just a common thing I've encountered. Often using both your practice, as well as more conventional treatments together, is the best way to progress. It doesn't have to be just one or the other. Best of luck! MAybe you could try DharmaDas. It's an online teaching program by Dzongsar Khyentse Rinpoche. It will take you through the basics and maybe even give you some idea what it is about. But honestly practicing with teacher is priceless. You can't practice buddhism from the books nor forum, not anything else, you can only practice it thru insight into your mind ground. Books can be means (pointers) for that. I am really not the person for doing that lol, basically I am reading this topic in the perspective of the OP.